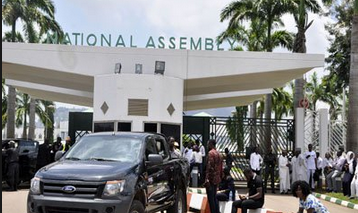 The Nigeria Bar Association (NBA) has added its voice to the general condemnation of yesterday’s invasion of the National Assembly by security personnel. NBA, in a statement by its President, Abubakar Mahmoud (SAN), described the security personnel’s action as unconstitutional and constituting a grave threat to democracy. Part of the statement reads: “The Nigerian Bar Association condemns this brazen and blatant act of the security personnel and demands the immediate withdrawal of these personnel. “This action is unconstitutional and poses a threat to our democracy. We call on the Acting President, Prof. Yemi Osinbajo (SAN), to immediately call the security forces to order. “The Nigerian Bar Association condemns, in the strongest terms the attempt, by the government or any faction of the political class to drag the Nigerian security forces into their ongoing political bickering and manoeuvres, totally unrelated to their responsibilities of governance for which they were elected. “We call on the military, the Nigeria Police, Department of State Security and all other security agencies not to engage in any unconstitutional operations or allow themselves to be dragged into partisan political activities directly or indirectly. “We want to remind the heads of these security agencies that there is sufficient framework under domestic and international law to hold them accountable for illegal and unconstitutional operational use of security personnel.